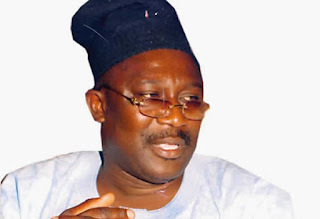 A former senator representing Kogi West Senatorial district, Smart Adeyemi, on Wednesday explained why his people endorsed President Muhammadu Buhari for another term in office. Adeyemi, a former chairman of the Nigeria Union Journalist, NUJ, said the people decided to queue behind Buhari because of his achievements in the last two years. Adeyemi stated this while speaking at the western senatorial district rally in Kabba. He noted that the Buhari administration, has taken great steps in diversifying the nation’s economy. “We want to tell the whole world that for us in Kogi West, we are impressed and pleased with your administration because you have exhibited justice, equity and fairness, you have given us a sense of belonging. “You are committed to the socio-economic advancement of our state; we salute your courage for sanitising the civil service, we are determined to support President Muhammadu Buhari whenever he decides to contest,” he said.